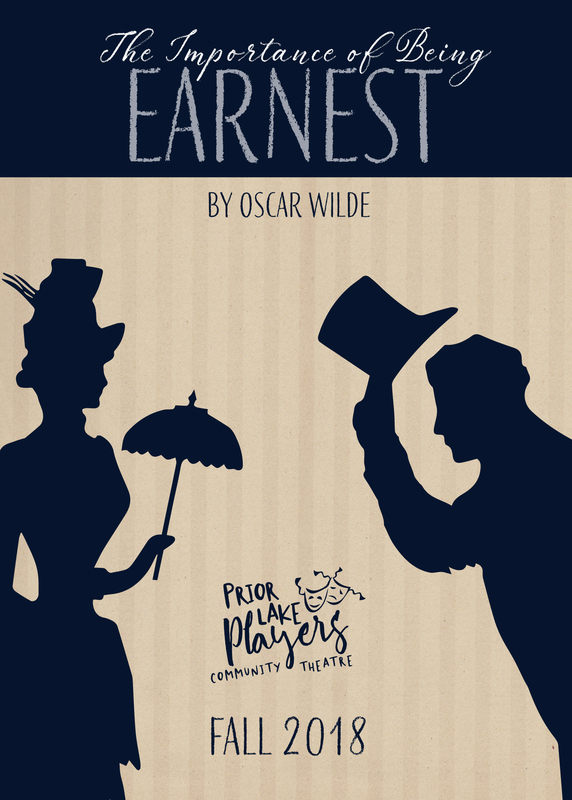 The Prior Lake Players Community Theatre will be performing Oscar Wilde's classic comedy "The Importance of Being Earnest" this October/November. Parts for men and women 18+. Auditions will be held Monday, August 20 & Tuesday, August 21st from 7 - 9 PM at Twin Oaks Middle School in Prior Lake. Auditioners will perform cold readings from the show, materials will be provided. First come, first served: we will not be scheduling appointments. Callbacks, as needed, will be Thursday, August 23. First Read Through will be Tuesday, September 4. Rehearsals will be Monday, Tuesday, and Thursday evenings with possible Friday rehearsals in October.